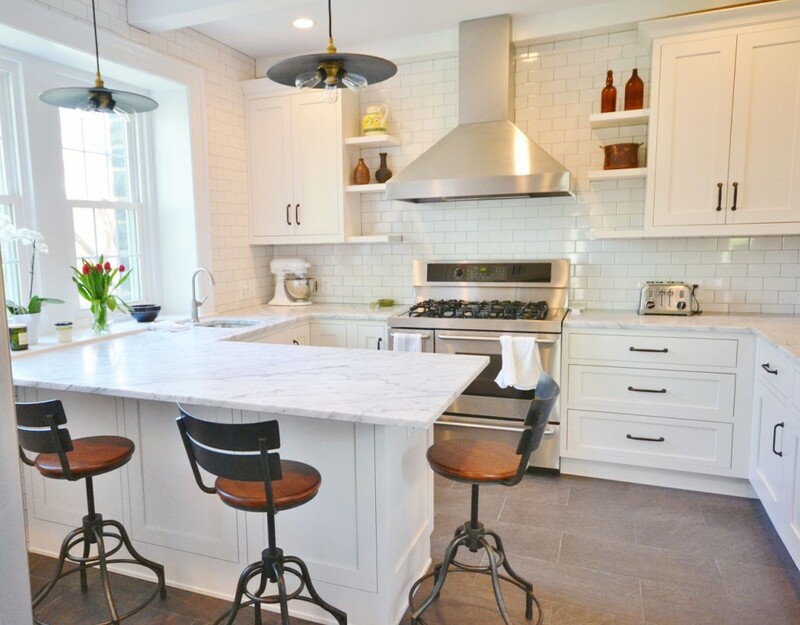 Gorgeous kitchen remodel. White is a fantastic choice for an open and airy look! 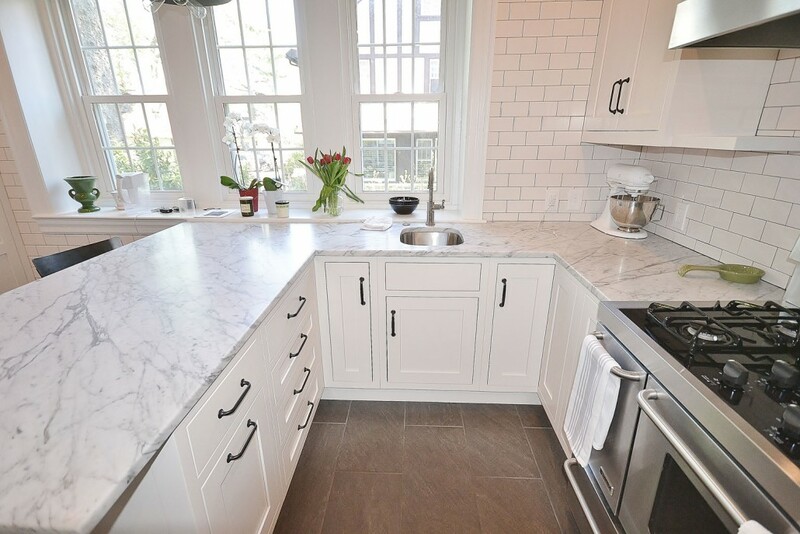 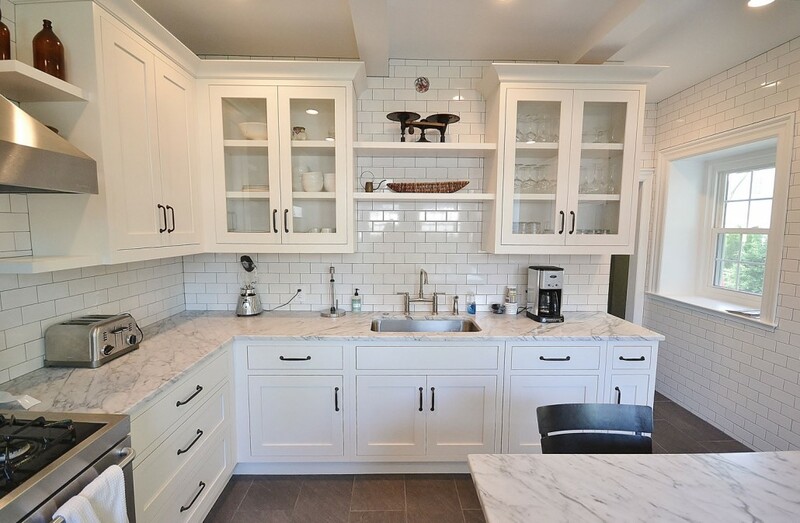 Lovely Fieldstone Cabinetry with Fairfield door style with a marshmallow finish. 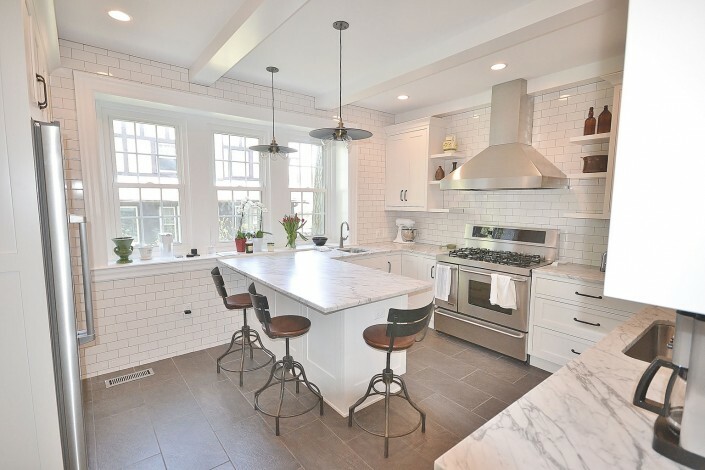 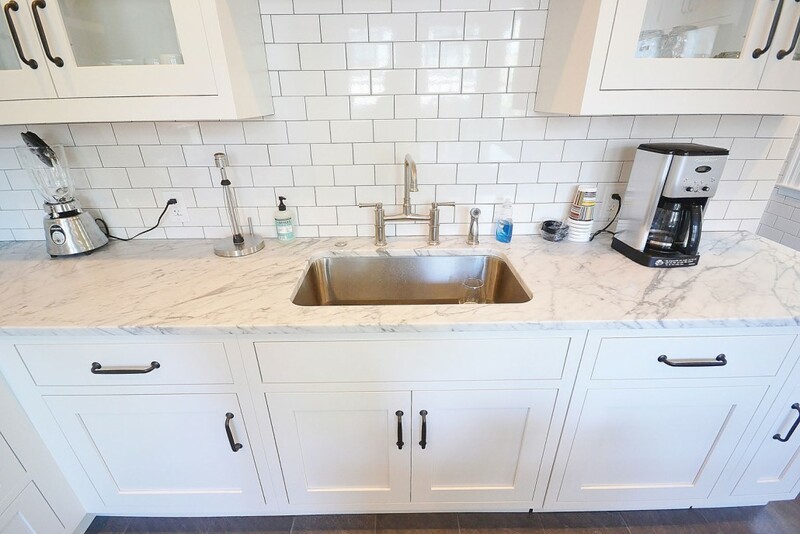 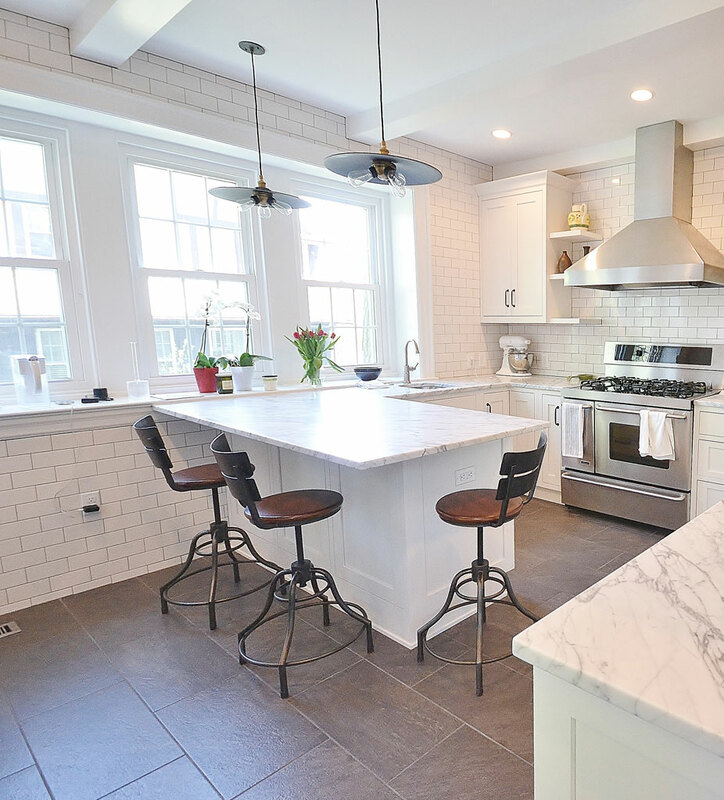 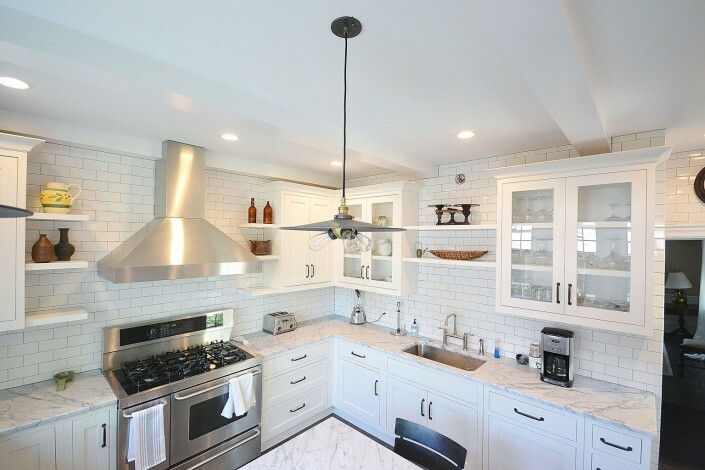 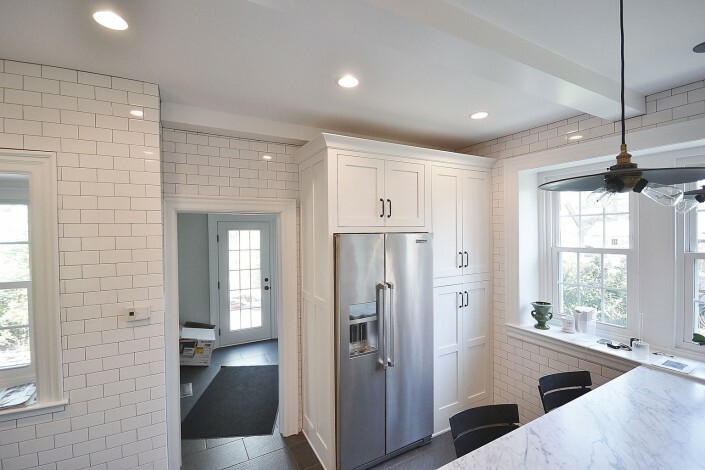 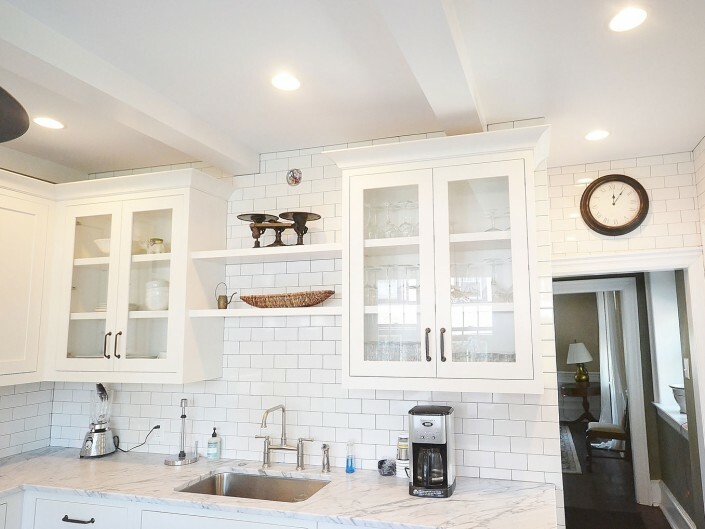 White Carra Marble and subway tile really make this kitchen pop!